Do terms such as sine or cosine or orthogonal make you break out in a cold sweat? You are not alone! But fear not—FGS hides all this technology from our users. The user merely clicks on the Refit button and then observes the level, trend, and number of highs and lows per year in the resulting model. The only reason we are telling you about it here is so that you won't think we are using obsolete technology! Fourier Seasonal Analysis (FSA) is based upon the mathematics of Joseph Fourier, a 19th century French mathematician and physicist. 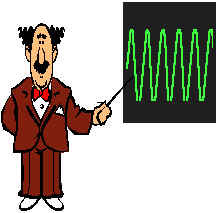 He demonstrated that any periodic observation can be represented by combinations of SINE and COSINE waves. These techniques are well used in engineering to model the oscillations of mechanical and electrical systems. They describe harmonics. Likewise this same technique can be applied to the oscillation of seasonal demand. The seasonality of a product's demand is a combination of cycles during the year. FSA fits the best combination of cycles (or none) to fit a SKU's history. If there is statistically significant seasonality, then FGS will use it in the forecast. Fourier models are orthogonal models. This means they include each effect once and only once. Non-orthogonal models can include some effects multiple times and exclude others all together. This is why Fourier models almost always do better than non-orthogonal models such as the Base Index method.